TRANSPARENCY over political donations in Northern Ireland will not be delivered as part of the latest UK wide donor reports being published tomorrow, The Detail can reveal. In July last year the UK Government pledged to end secrecy over political donations in Northern Ireland by the autumn of 2017. Tomorrow the Electoral Commission will publish information on money donated to political parties across the UK, but a delay in implementing new legislation means it still cannot be published in Northern Ireland. The Detail previously reported on how the commission had expected to publish the first set of data on donations to Northern Ireland political parties in November last year. The legislation to lift the ban on naming donors here cannot be implemented until it has been debated by both houses of the UK parliament. The legislation was debated in the House of Commons before Christmas. However the House of Lords is not due to debate the matter until February 27 2017. Under current legislation the identity of political donors is not published in Northern Ireland for security reasons but the UK Government had previously committed to bring forward legislation which would permit the publication of donations of over £7,500. In November last year the Government started the process of lifting the ban in Northern Ireland just hours after it faced heavy criticism from the electoral watchdog for failing to do so. On November 23 2017 the Electoral Commission sent out a strongly worded press release stating that it was “extremely disappointed" that it was unable to publish information on Northern Ireland political donations despite previous assurances by the UK Government that it would lift the ban in Autumn 2017. Later that day the Transparency Order 2018 was laid before parliament, beginning the process of changing the legislation. Tomorrow the Electoral Commission will publish details of all political donations received throughout the UK between October and December 2017. In a statement to The Detail the commission confirmed that donor secrecy in Northern Ireland will remain in place until both houses of the UK Parliament debate the new legislation and it is voted on by the House of Commons. If the legislation lifting the ban on donors in Northern Ireland is introduced it will only affect funds over £7,500 received by political parties from 1 July 2017 onwards. 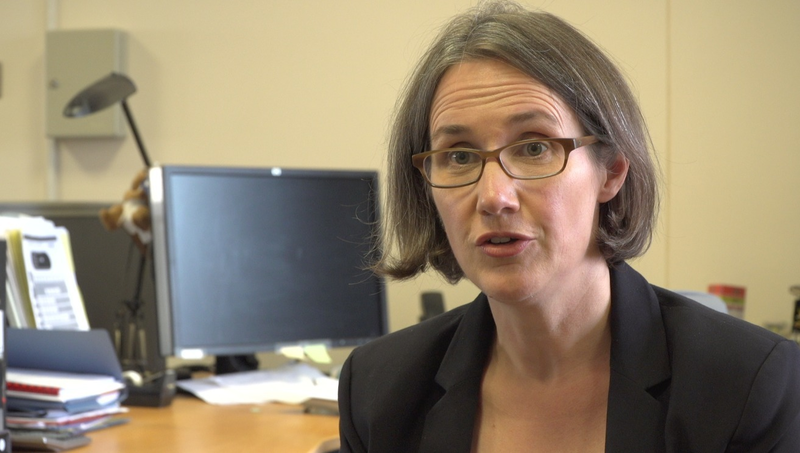 In a previous interview with The Detail head of the Electoral Commission, Ann Watt, had signalled that the government’s reforms on donations may not go far enough. Meanwhile, internal Electoral Commission correspondence obtained by The Detail also highlights a disagreement between the DUP’s Director of Policy and the commission over the timing of its criticism of the Government’s delay in lifting the donor ban. The emails obtained through a Freedom of Information request to the Electoral Commission show that the DUP’s Belfast City Council group leader Lee Reynolds sent an email to the commission after it issued a press release criticising the UK government’s delay in lifting the donor ban in November. He was referring to a previous incident where the DUP had argued against the commission releasing details on its Brexit campaign expenditure ahead of the Northern Ireland Assembly Election last March. The DUP representative’s email led to an internal conversation in the Electoral Commission. Referencing Mr Reynold’s email to the commission on November 23, legal counsel for the Electoral Commission - Bob Posner - advised officials at the commission to “respond expressing disappointment at their comment as our release of information today is on the usual cycle publication date for such”. We contacted the DUP about Mr Reynolds' correspondence but the party declined to comment. Information on this correspondence comes after a previous investigation by The Detail revealed that prior to the Northern Ireland Assembly election in March 2017 the DUP tried to delay the commission from publishing information linked to a £435,000 donation it received from pro-Brexit lobbyists.